(Hicksville, NY, September 27, 2011)-- CQ Communications, Inc., will launch multi-platform digital editions of all of its magazine titles before the end of 2011, Publisher Richard Ross, K2MGA, announced today. 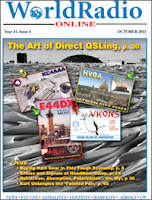 Those titles include CQ Amateur Radio (CQ magazine), CQ VHF, Popular Communications and WorldRadio Online. Many CQ book titles are already available in digital form on CD. "The digital editions will supplement, not replace, current print editions, and will feature enhancements not possible in the print medium," said Editorial Director Rich Moseson, W2VU. "Versions will be available for a variety of online and mobile platforms* and will be hosted by Zinio, one of the top names in the e-magazine hosting business. This will assure that our magazines will always be able to take advantage of new technology when it becomes available." Examples of features that will be possible in the digital editions include live links to all World Wide Web addresses listed in each issue, as well as supplemental content, such as photo albums, audio and video files, software and more. "Imagine reading an article about meteor scatter and being able to listen to a meteor scatter contact with a click of a mouse," said Moseson, "or reading an ad for a piece of new gear and being able to click directly to a video explaining its features. All of this and more will be possible in our digital editions." "At the same time," he added, "the print editions will retain their unique characteristics, such as portability, the tactile experience of holding a magazine in your hands, no need for batteries and the ability to continue reading on an airplane after you've been told to turn off all electronic devices!" The digital launch will begin in late October with the November issue of an enhanced, multi-platform, version of WorldRadio Online, which will again become a paid-subscription publication; followed by November CQ, which, appropriately, is the magazine's first annual Technology Special. The fall issue of CQ VHF and the December issue of Popular Communications will round out the introductions. Digital editions will be available by single copy and by subscription. Details will be in the near future in the magazines and on all CQ Communications websites. CORRECTION: The listing for the California QSO Party in Contest Corner on Page 60 of October's WorldRadio Online magazine contains incorrect dates for the contest. It runs from 1600Z, October 1; to 2200Z, October 2. Visit: < http://www.WorldRadiomagazine.com >. Next year's planned DX0DX expedition to the Spratly Islands has been cancelled and will not be rescheduled, according to organizer Chris Dimitrijevic, VK3FY. The ARRL Letter reports that no explanation was given in the website announcement, but the trip had already been delayed twice from its originally-planned date in January 2011. However, the Letter reports that a different group of hams, from Malaysia, is planning to activate one of the Spratly islands (Pulau Layang Layang) next year. The islands, in the South China Sea, are claimed by multiple countries and some previous DXpedition attempts have been met with military gunfire. The ARRL has filed comments in opposition to a waiver request filed by the Anchorage VEC to speed up action on its petition to permit lifetime credit for license exam elements passed. The Anchorage group had filed a petition for rule making on the same issue in April, and followed it up with the request for a blanket waiver in July. According to the ARRL Letter, the League has not yet taken a position on the merits of the underlying proposal, but does not feel that the Anchorage VEC has justified its request for immediate action rather than letting the rulemaking proceeding run its regular course. A 76-year-old Scoutmaster and ham radio operator was killed in August while leading a nature hike outside of Kokomo, Indiana. Police say Arthur Anderson (W9WPH) was leading two scouts on a hike when he was attacked from behind without provocation and stabbed to death. Twenty-two year-old Shane Golitko has been charged in the murder. According to the ARRL Letter, Anderson was Assistant Scoutmaster of Troop 506 in Kokomo and had been a scouting volunteer for 50 years. Joining the ranks of Silent Keys in August was Peter W. Dahl, K0BIT, of El Paso, Texas. For more than 40 years, Dahl owned and operated the Peter W. Dahl Company, which manufactured transformers and related components for the amateur radio and commercial broadcasting markets. The ARRL Letter says Dahl was 71 when he died of Parkinson's disease on August 15. 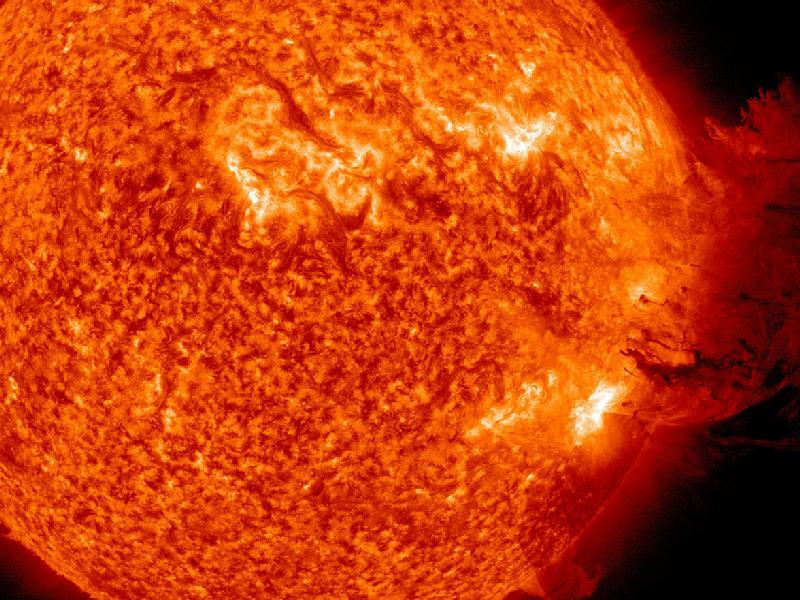 Two groups of solar researchers have made new discoveries, one about sunspots and the other about solar flares (which erupt from sunspots). The first, by a group of scientists at Stanford University, is a new way to detect sunspots before they emerge onto the sun's surface. It uses acoustic waves to literally listen to what's going on inside the sun and to predict the eruption of sunspots before they rise to the surface. The second discovery is that some solar flares may be much more energetic and powerful than previously thought. 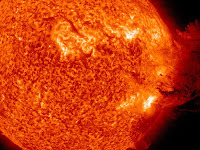 NASA Science News reports that researchers at the University of Colorado have determined that approximately one in seven solar flares experience an "aftershock," or subsequent flaring, that may be as much as four times as powerful as the original flare. That additional energy interacting with the Earth's ionosphere can have both positive and negative impacts on propagation. A group of three U.S. hams, including two already well-known in the ham radio industry, has purchased the source and rights to the Ham Radio Deluxe software suite from Simon Brown, HB9DRV, of Switzerland. The three include Timewave Technology president Randy Gawtry, K0CBH; W4PC Software president Rick Ruhl, W4PC, and Mike Carper, WA9PIE, who is well-known in the commercial technology sector. Brown said the time demands for providing support to HRD - which provides rig control, antenna control, digital modes, logging and satellite operations - have gotten to be too much for him to handle on his own and that "it's necessary to take a break and hand the whole project over to another team." Gawtry, Ruhl and Carper say they plan to continue improving the HRD suite. Their first upgrade, version 5.1, will be offered at no charge to currently-registered HRD users when it is completed. Heathkit: Response to Kit Annoucement "Scary"
Heathkit's director of sales and marketing says the response to the company's announcement that it was returning to the kit business has been "overwhelming, exciting and scary." Ernie Wake told the ARRL Letter that "(t)he scary part is that the brand name has so much loyalty that we don't want to disappoint the people who have such fond memories." He also said the company originally had "no intention of entering the amateur radio kit market" when it first made the announcement, but that response from hams has forced it to reconsider. 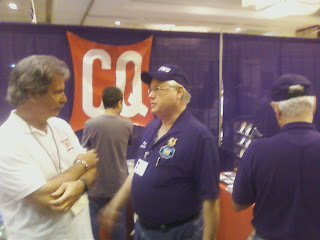 Wake also spoke with CQ Kit-Building Editor Joe Eisenberg, K0NEB, who reports on the company's ham-related plans in his column in the November issue. 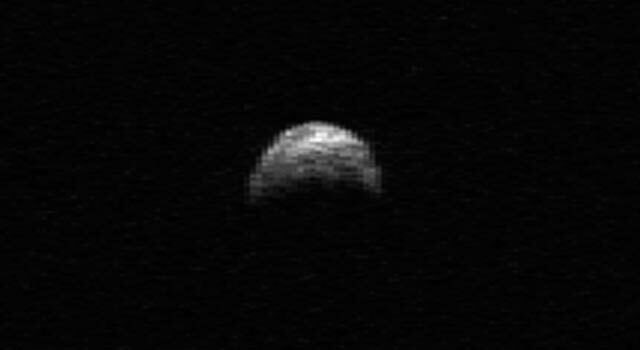 A close encounter with a near-Earth asteroid this month should present hams who have dish antennas with the opportunity to listen for radar signals being bounced off its surface. The AMSAT News Service reports that on November 8 and 9, researchers at the Arecibo Observatory in Puerto Rico and the Goldstone Deep Space Network facility in California will be transmitting continuous radar signals at asteroid 2005 YU55 on 2380 and 8560 MHz, respectively. Hams with small dish antennas (less than one square meter) should be able to monitor the reflections, which should sound like slowly drifting narrowband signals (approx. 1 Hz bandwidth), within a few kilohertz of the frequencies above. More information is available online at <http://echo.jpl.nasa.gov/asteroids/2005YU55/2005YU55_planning.html>. The National Research Council is urging NASA to hire more astronauts in order to meet future staffing needs on the International Space Station. According to the ARRL Letter, the NRC report -- which was commissioned by the space agency -- notes the lengthy training period required for new astronauts and says that the current size of the U.S. Astronaut Corps -- 59 -- "poses a risk to the US investment in human spaceflight capabilities." 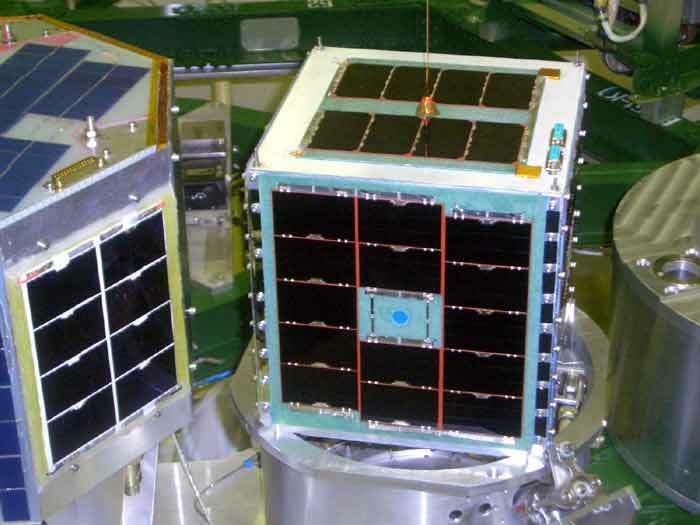 Satellite pioneer Dr. Bob Twiggs, W7RMT -- who developed the CubeSat and the smaller FemtoSat -- is leading a "HackerSPACE workshop" on CubeSats on November 11-12 in Lexington, Kentucky. This is a collaboration between Kentucky Space, a consortium of colleges and universities in the state, and MAKE magazine, teaching participants about the design and assembly of small satellites, according to the AMSAT News Service. Twiggs is an Emeritus professor at Stanford and is now teaching at Morehead State University in Kentucky. AMSAT-OSCAR 51 has lost one of the six cells in its battery and it appears that a second cell may be fading. As of late August, the AMSAT News Service reported, ground controllers were managing to keep basic functions operating but feared that if the second cell in the battery failed, "the mission might be considered over." Normally, we do not report on FCC enforcement actions until they are resolved. But an egregious attack on the English language in one ongoing case cannot be ignored. The FCC is currently reviewing whether to renew the license of Glenn Baxter, K1MAN, a controversial ham who has been a thorn in the Commission's side for many years. The case is currently at the stage of "First Interrogatories," in which FCC lawyers ask Baxter to provide them information on a variety of questions regarding their accusations against him. f. The term "and" also means "or" and the term "or" also means "and." g. The term "each" also means "every" and the term "every" also means "each." h. The term "all" also means "any" and the term "any" also means "all." From the editors: Sorry, folks, but they do not. "And" is not the same as "or;" "each" is not the same as "every" and "all" is not the same as "any." Just look in any dictionary. The federal government has the power to do many things, but redefining basic terms of the English language is not among them. Radio amateurs from around Southern California, across the nation and from many foreign countries converged on the Marriott Hotel in Torrance, California for HAMCON 2011, the ARRL Southwestern Division Convention, September 9 to 11. Here are a dozen snapshots from the convention, which saw a lot of action both during the many scheduled presentations and in the vendor display area. Above, Chip Margelli, K7JA, CQ Communications Advertising Director, represents the organization over the convention weekend. 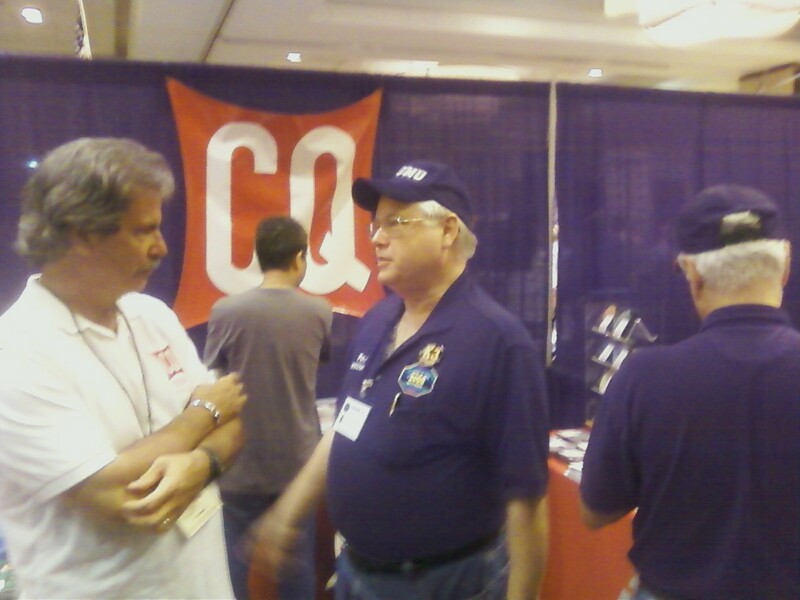 A goal: To get feedback from readers of CQ Amateur Radio, Popular Communications, CQ VHF and WorldRadio Online magazines and the many books and CDs in the company's line. 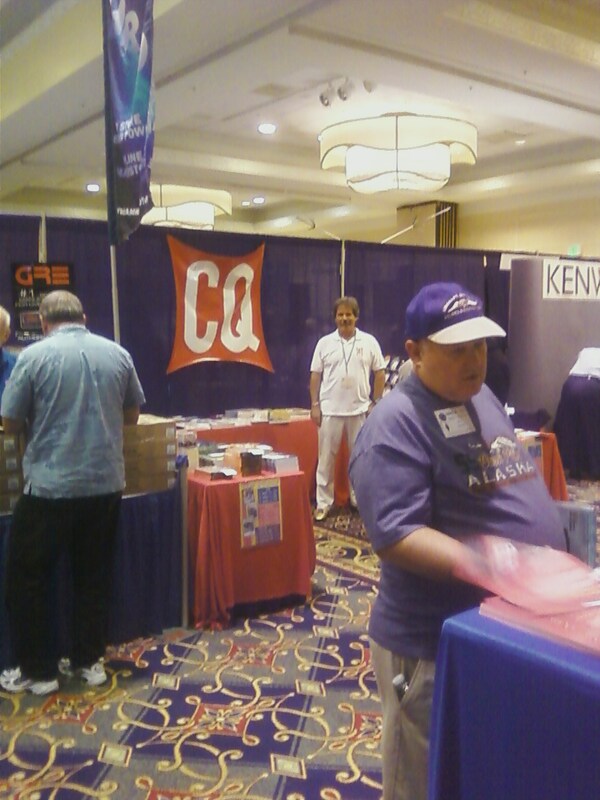 Here, in a natty white CQ-logo'd outfit with gold shoes, Margelli stands ready for the early Saturday onslaught. 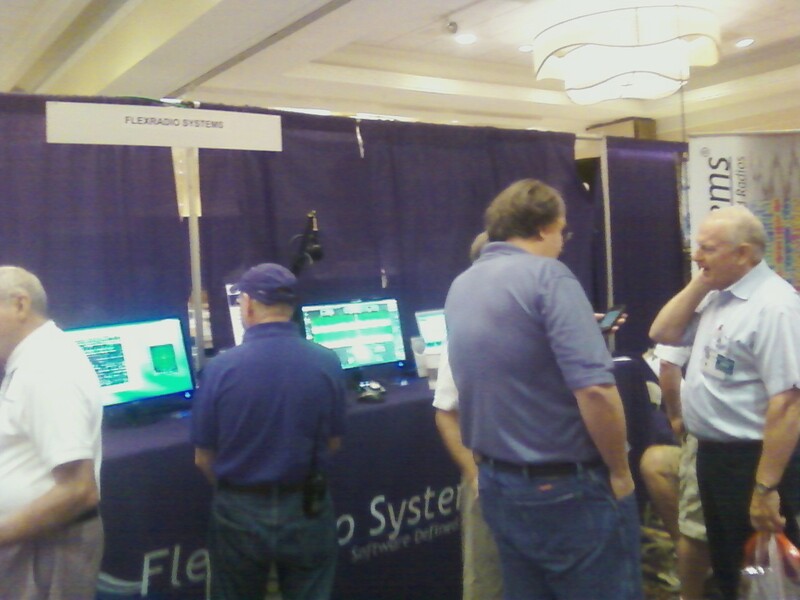 Traffic on the vendor floor quickly increased as attendees hurried inside to get out of rain showers that dotted the Los Angeles area. All day, interest at the Comet Antennas booth was high. 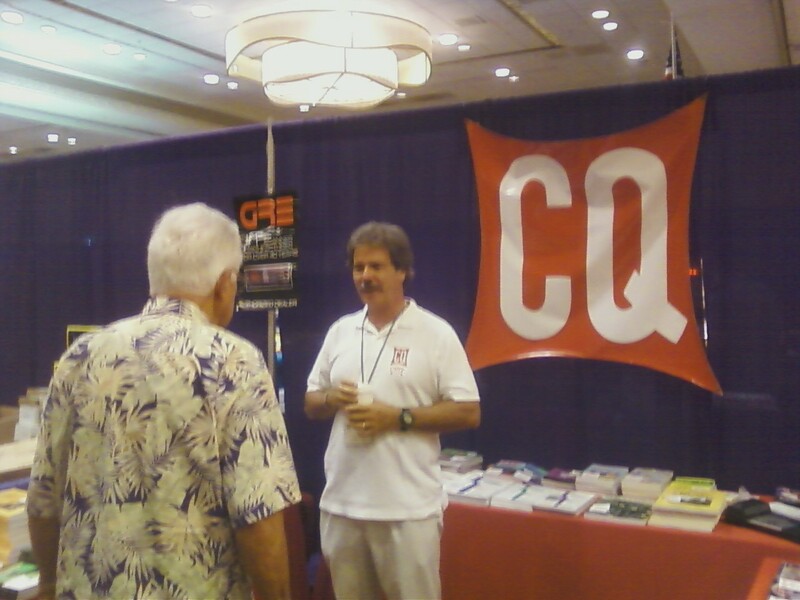 It did not take long for Margelli to power into "chat" mode, drawing valuable input from booth visitors about CQ Communications publications. Elecraft Radio's booth is always a convention favorite, and the ARRL SW Division event was no exception. 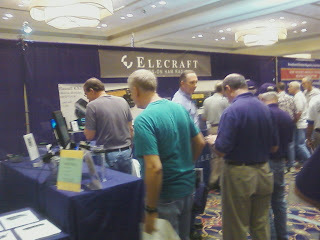 Elecraft co-founder Eric Swartz, WA6HHQ, (blue shirt with back to camera in foreground) looks down on his computer screen before wading into the crowd to answer questions. 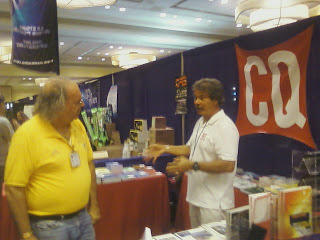 Margelli, constantly on the move, chats with another visitor in the CQ Communications booth. Unlike many chatting pros, K7JA is as comfortable with his back to the camera as he is facing it. 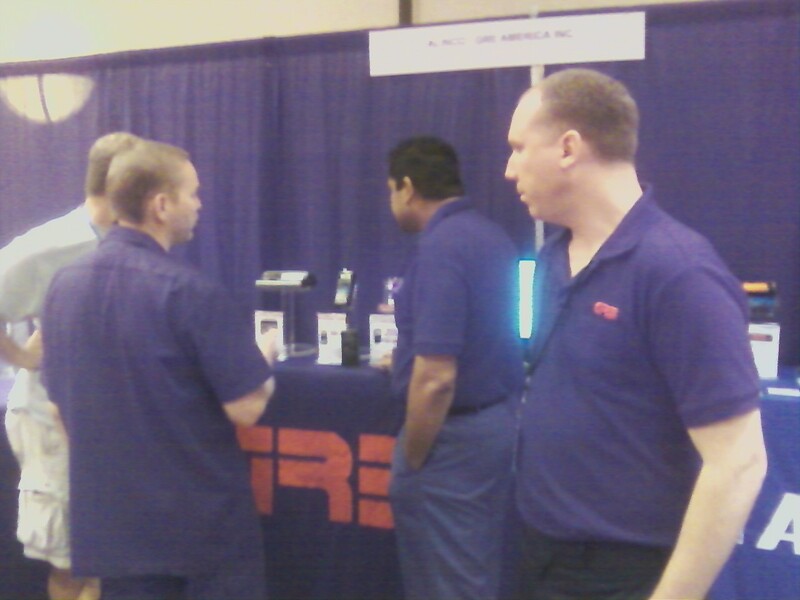 The guys at GRE had their hands full with a steady stream of interested visitors during the convention. That's Campbell Wittliff, GRE sales account manager, in the foreground. 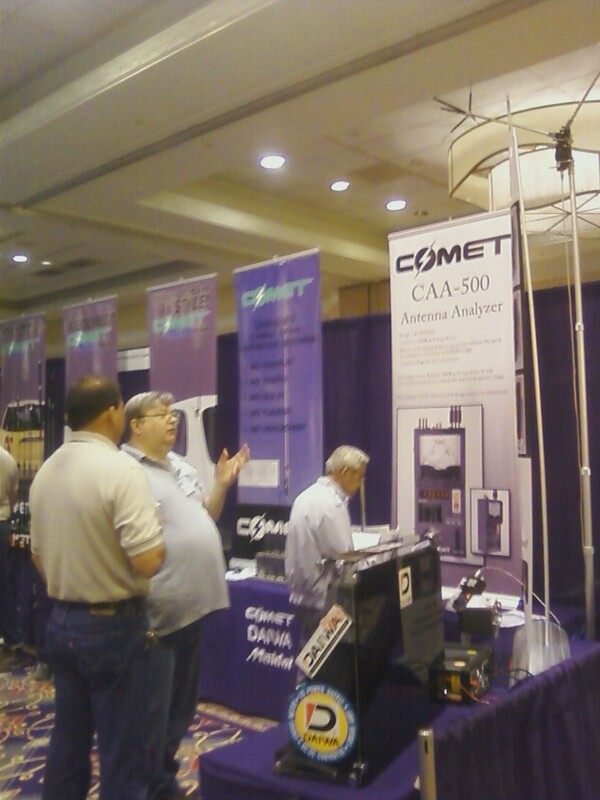 On the right in the background is Raj Gounder, K6GRE, director of sales, speaking with curious convention attendees. FlexRadio Systems had an impressive booth at the 2011 SW Convention near Los Angeles, with multiple flat screens set up for convention visitors to see what the company's software-defined radio (SDR) products can do. Hawaiian shirts seem to captivate K7JA, as this photograph clearly shows. These old friends eventually got back to gabbing about amateur radio, though, before saying "aloha." 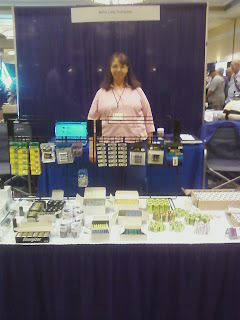 Nicad Lady Company representative Grace Lloyd, N6WPA, readies for the crowd at the company's booth on the 2011 HAMCON ARRL SW Division convention floor. 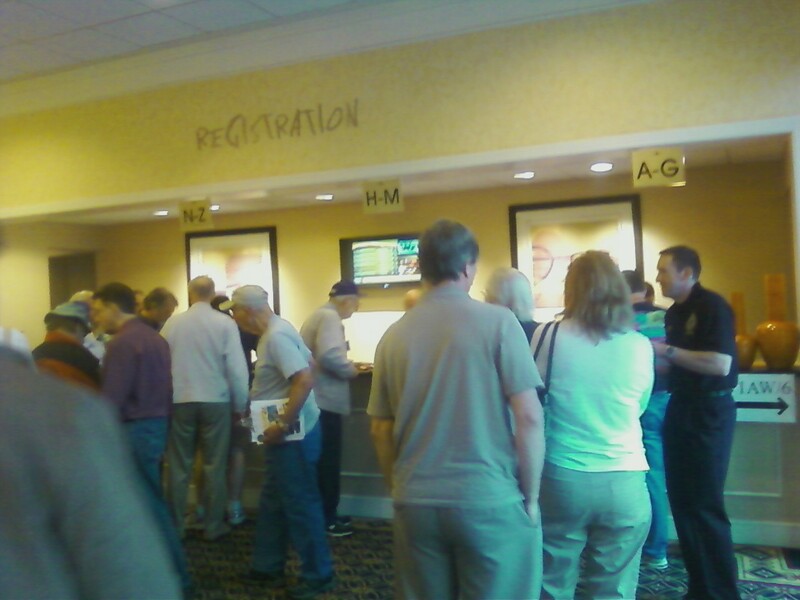 They were lined up mighty deep at the HAMCON 2011 registration desk as K7JA's convention presentation about emergency antennas approached. 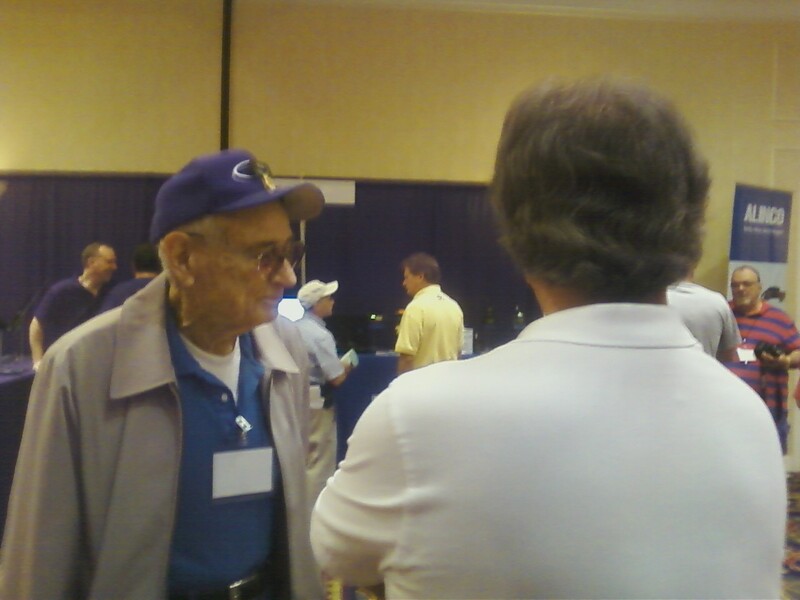 When not chatting in the CQ Communications booth, Margelli was chatting with attendees in one of the conference rooms. 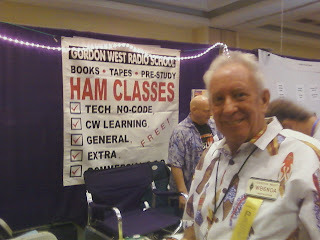 Gordon West, WB6NOA, had only a few seconds to spare to pose for a photograph as he managed the throng at the Gordon West Radio School booth at HAMCON 2011.